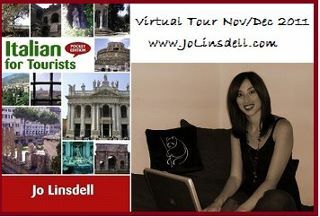 Virtual tours are an excellent way to drum up interest in both you and your work. It's a marketing strategy that I often use and find that the results aren't just linked to better book sales. I sold more books. Not just the title I was touring either. I got 6 new clients for my freelance writing and some were for multiple assignments. Think about your tour goals. Knowing what you want to achieve with your tour will give you focus both for content and where you need to be hosted. Think about types of content. To keep a tour interesting you need to make the content of your posts varied. From my own experience I find that a few interviews, a couple of reviews and a lot of guest posts is the best combination. Why mainly guest posts? They create more discussion, appeal to a wider audience and normally get more attention. Create a banner for your tour. Not only does it make you look more professional, it also serves as an immediate publicity for you, your book, your website and your tour. Even if people don't read all the post they will have seen the most important information just by clicking on the page. As you can see, this is a very simple banner. It includes; my book cover (the item I was promoting with the tour), My photo (an 'on theme' shot of me at my computer. Putting your face allows people to feel more connected to you), Virtual tour and the dates (what I was doing and when) and lastly my website url (so people can find out more about me and my work). This banner took me about 5 minutes to make using the program 'paint'. 4. Target hosts. Whilst it's always good to send out a general appeal for tour hosts you need to hit sites where your target audience are going to be. Do some research and find sites that fit in some way with the topic of your book and drop them a message asking to be featured. Highlight why you are a suitable guest. Also aim for sites with larger numbers of followers. The more traffic they get to their site the greater audience your post will have. 5. ALWAYS comment on your tour stops. A thank you to the host is a must. Checking back regularly can really help to get the conversation going too. Reply to all those who take the time to comment. Have you recently done a successful tour? Got some tips to share? Its a nice and very much informative post. Is there an advantage to having the daily successive stops (besides the promo banner)? I have at least one appearance scheduled each week over the next eight weeks, but none are back to back. My thought process was that I wasn't able to do much marketing-wise prior to my release date, and being more flexible might enable bloggers to accomodate me faster. You can have a promotional banner anyway ;) A tour can be as long or short as you like and the stops can be organised to suit your needs. One stop a week for eight weeks can still be counted as a tour. There is no fixed format but usually the stops are organised to happen daily as it creates more of a buzz. All the big work happens before the tour as that's when you write your guest posts, interviews etc... During the tour you just need to remind people about the stops as you will have already promoted them and of course, take the time to comment and reply to comments left on each post.